It's not every weekend you get to celebrate your mates 'farewell' on a boat. Get all the boys kitted out in some Breakfast Shirts and give him the appropriate send off. 15% off ALL Breakfast Shirts. 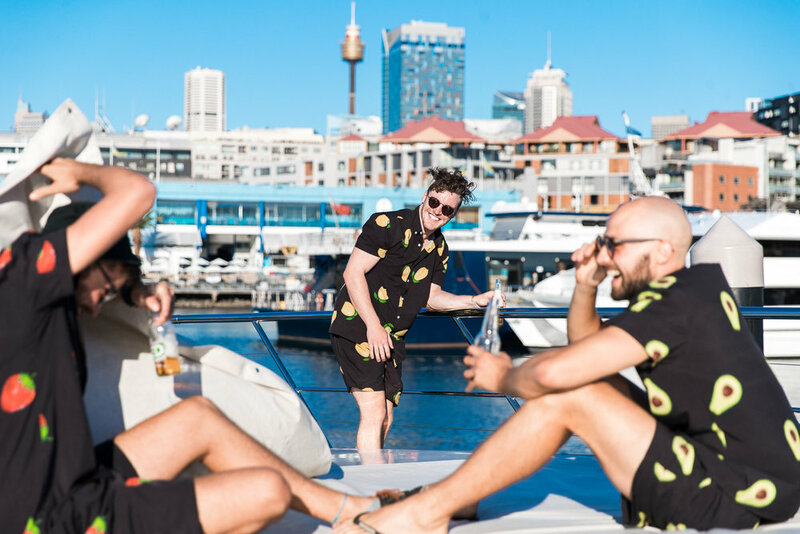 We have teamed up with Bucks Afloat because we want to see more Breakfast Shirts out at sea. Just for booking with Bucks afloat we are offering 15% off all Breakfast Shirts. We can also arrange for your Breakfast Shirts to be delivered on the afternoon of your bucks night, ironed and ready to go! We should also mention the Shorts and Board Shorts #quickdry.